1. Read nothing but poetry for a couple of weeks, or even months. It does not necessarily need to be classical poetry: you can find a poetry genre you would like to read, and read as much as you can in it. Also, it would be most useful to read some books about poetry, about versification, poetic techniques, memoirs of famous poets, and so on. 2. You cannot write a poem all of a sudden without knowing what it is going to be about (well, you can; for example, haiku poems are written based a momentary impression, but haiku are super-short, and here I am talking about western poetry). Therefore, think about if your poem is going to be a declaration of love, a reflection or contemplation, a call for a action, and so on. 3. Find inspiration. This is optional—I heard some poets saying that inspiration is a booster, but not a necessity. Anyways, it’s always good to have a power-up by your side. Find what makes you get excited about writing something down. 4. Seek for appropriate words. Among all the words you feel like using, pick only those that can fully represent your exact idea or emotion. For example, you can say “he went,” or you can say “he rushed.” Both verbs mean action, but it is the word choice that enables us to understand what this action was like. 5. Write a draft. Yes, poems can be drafted too. 6. When you have a draft, you can start editing, recomposing, reconstructing, rewriting—in other words, doing anything you want and/or need to make the poem look exactly how you want it to be. Read the poem a couple of times again. Sometimes, you might need several days to cool down and understand whether your poem is worthwhile to work on (sometimes it takes years, but nevermind). 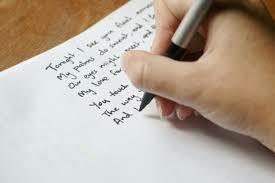 Some writers say poetry is more difficult than prose; I disagree—in my opinion, they are just different. So, master the rules of poetry, and enjoy!